Cracks are beginning to show in Melania Trump's support of her husband. Rebel in a new wardrobe: What Melania's clothes are saying to Donald. Nearly nine months into the reign of US President Donald Trump, it seems our prayers are finally being answered for a sign that Melania Trump’s freedom from her orange overlord is imminent. Maybe. While we’ve been impatiently waiting for another hand swat or balcony nudge, the First Lady of the United States has been subtly sending out big you-don’t-own-me signals via another medium – her wardrobe. It&apos;s guaranteed this coat was not Trump approved. Source: Getty. As Hadley Freeman wrote in The Guardian, Donald J comes across as a man who is very particular about women&apos;s fashion. Or, more specifically, Melania&apos;s fashion and maybe her latest sartorial choices are a sign of "rebellion". 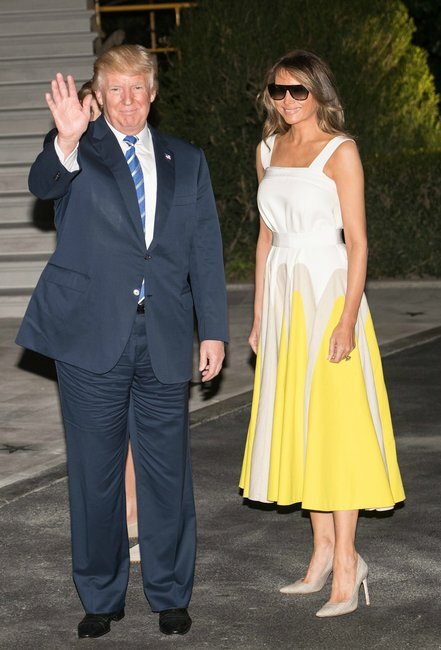 Donald likes his ladies (read: his ex and current wives, and his eldest daughter, Ivanka) in fitted dresses, V-necks, hemlines with the slightest of kicks and almost always just below the knee. A perfect blow-wave and astronomical heel must also be worn as the perfect accessories. But in recent weeks, we&apos;ve seen Melania in a mid-calf loose fitting Missoni gown and a loose fitting shirt dress. We&apos;ve seen Melania in sneakers and ballet flats. We&apos;ve seen Melania in a chambray button up wearing a cap. We&apos;ve seen Melania in denim jeans and, a few days later, a god damned pant suit. To the untrained eye, this might not seem like much. Hell, they even seem like normal, if not still incredibly fashionable items of clothing. And when partnered with the handiwork of Melania&apos;s hair and makeup team their execution is even stronger. But don&apos;t be fooled, this is a serious change. What it all means, though, is still not fully clear. 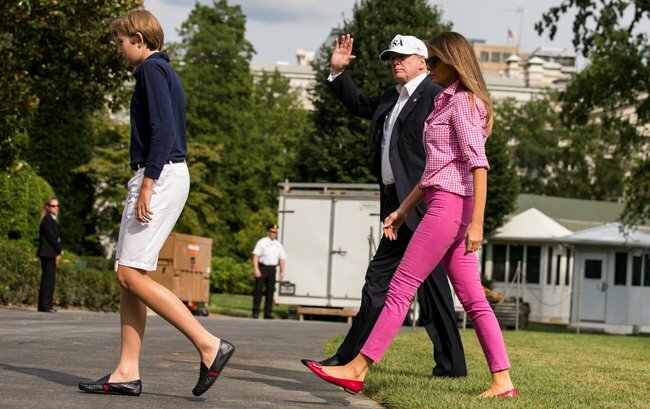 The First Lady visits Camp David in jeans and flats.Source: Getty. The First Lady visits Camp David in a loose shirt dress and ballet flats.Source: Getty. The First Lady visits Camp David in her 2017 power suit.Source: Getty. The First Lady visits Camp David in Missoni, a label Trump is sure to hate.Source: Getty. It&apos;s long, it&apos;s loose, it&apos;s not to Donald&apos;s taste at all.Source: Getty. 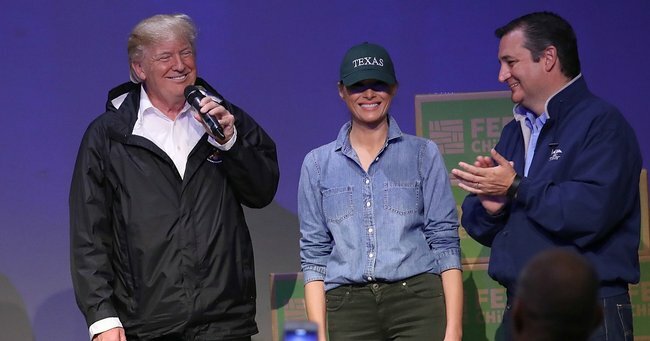 Melania Trump in Texas following Hurricane Harvey.Source: Getty. 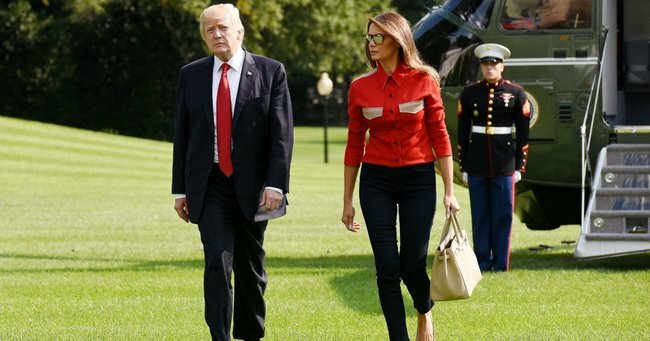 It could be that Melania is rebelling against the strident "dress like a woman" uniform policy her 71-year-old husband introduced after moving into the White House. It could be that she&apos;s letting the greater world know that yes, she is alive and well and receiving her tweets, thank you. 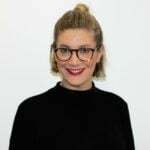 It could just be that at 47 years old, the mum-of-one is done with caring about what anybody thinks. Whatever the reason (obviously we&apos;re hoping for the first), we&apos;re strapped in and fully committed to seeing this ride all the way through. 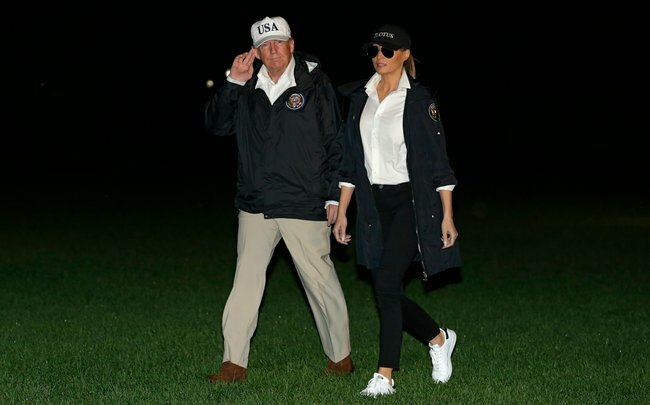 Nobody is coping with Melania Trump’s footwear choice to visit Hurricane Harvey victims. The unusual rules Melania Trump has to follow now she’s moved to the White House. 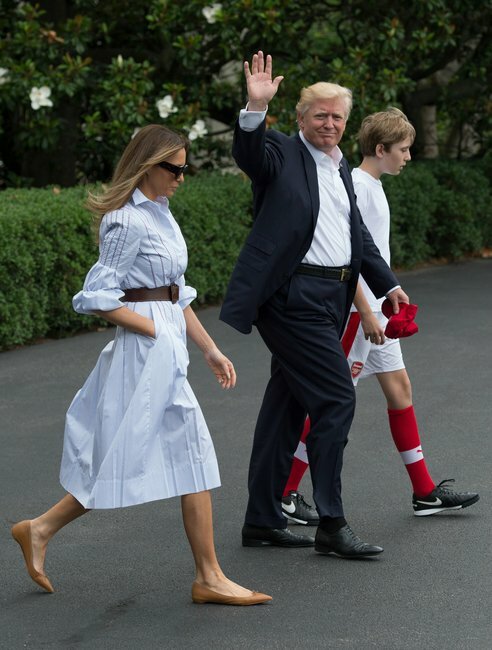 Melania Trump has finally moved into the White House with son Barron.